In their 30 years together Jim and Lynne have learned to bring God’s grace and truth to the messes of real life; their and yours. Their three closely-aged kids all had straight A’s before they started school: ADHD, Asthma, Allergies, and Acid reflux. Translation: A WIRED FAMILY! And both of them chose careers working with other people’s kids. This unique combination of experience at home and at work led them to start Connected Families in 2002. Since then their resources have equipped thousands of parents around the world be more peaceful, purposeful, and confident! Jim and Lynne have been featured on Focus on the Family, Desiring God, KTIS radio, numerous radio programs and podcasts. You can visit their website at connectedfamilies.org to learn more. In this episode, we discuss how to handle sibling conflict. Why is it so frustrating for us moms? How can we help our girls learn to navigate conflict well? What are ways we can help get to a resolution with screaming or avoiding it? It was important to me to offer their sibling course even though I haven’t taken it yet. I always want you to know about great resources. It comes highly recommended by my friend Heather MacFadyen and her “Don’t Mom Alone” podcast. I will report back and let you know how it goes for our family! After this conversation, I’m convinced it’ll be a great use of our money and time. 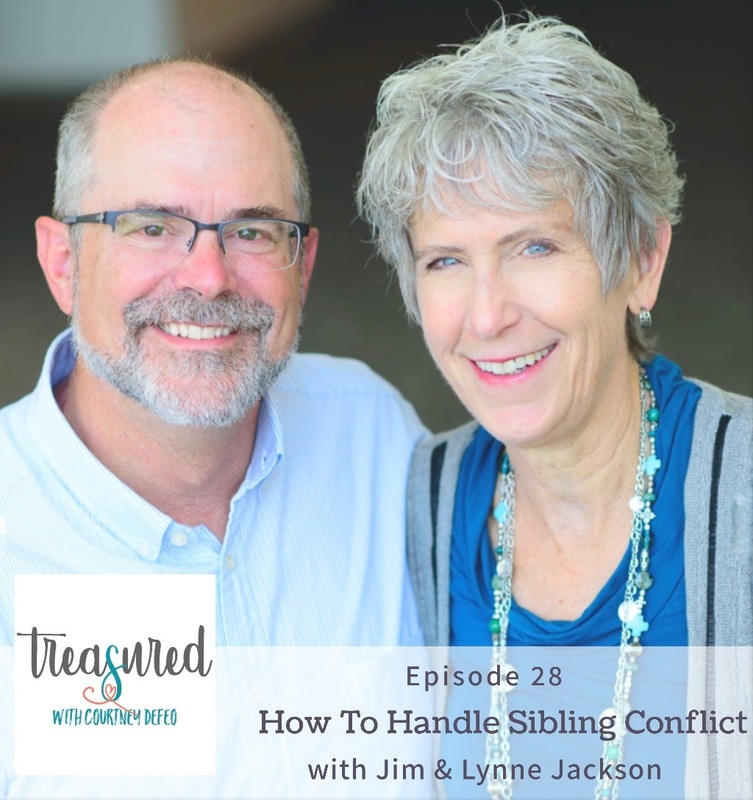 LINK to Jim & Lynne’s SIBLING CONFLICT course here! These five sessions are self-paced and include loads of bonus material. A new vision for relationships in your family. Ideas for what to ask or say in the heat of the moment. Practical examples from “real” life. An understanding of the role of God’s grace in conflict. Ideas for showing your kids how to deal with their conflict WITHOUT you.